One of the oldest materials known to man, rock crystal is also quite possibly the most fascinating mineral on the planet. Widely regarded as an energy stone & a master healer, it's also said to enhance thoughts as they are a form of energy. 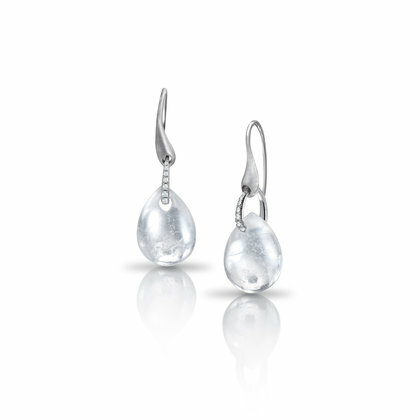 The word crystal comes from the Greek word 'Krystallos' which means ice, and these exquisite teardrops have been bespoke-cut to showcase their beautiful, icicle-like shards.